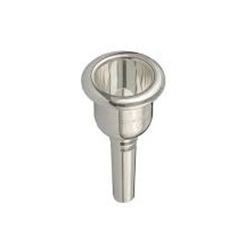 Denis Wick has designed new mouthpieces to give even more volume and projection. They are a little more difficult to control, but the extra effort repays dividends. The inner rim contours are a little rounder for players who need to spend long hours in practice or performance. Much research has gone into the subtle reworking of the exterior shape to give even more powerful maximum dynamics and volume in all registers.